Bird Feeders The fastest way to a bird's heart is definitely through their stomach. Put up a backyard bird feeder and birds will certainly come to feed in your yard. Where you live determines what you'll see because of differences in birds' range and habitat preferences. As words spread about your feeder, the kinds of birds and the size of a crowd will increase. Even if you live in the city where it seems pigeons and house sparrows are the only birds on earth, you'll get surprised visitors that find your food or stop in on migration. Bird Feeder Basics When you shop for bird feeders, you'll find your choices are almost limitless. You may wonder how to decide what to buy. Here are some hints. Ease of use - The most important factor in choosing a feeder is how easy it is to use - for both the owner and the birds. You want a feeder that's easy to fill and that holds a reasonable amount of seed. If you are just getting started, look for a feeder that displays seed in full view because birds are attracted by the sight of food and by the sight of other birds eating. An open tray is great for starters. Make sure your bird feeder has plenty of room for birds to eat without protrusions or decorations getting in the way. Birds also like a feeder with a raised ledge or perch that they can grasp while eating. Size - When birds come to a bird feeder, they want food, and they wait for it fast. Choose a main tray feeder that's big enough for at least a dozen birds to eat at once. Supplement that with a hopper- and tube-type bird feeders. Domed feeders are great for small birds like chickadees. Feeders inside wire cages give small birds a place to eat and peace without competition from starlings or other larger birds. Once you have one or two large bird feeder you can add as many smaller feeders as you like. Quality - Make sure your bird feeder is well made. A sturdy, simple, but beautiful feeder costs more than you'd think. Expect to pay $30 - $75 for a feeder that will last for years. Tray (Platform) Feeders A must have for any backyard is a simple wooden tray feeder. It's big, it's easy to fill, and it accommodates several birds. The other feeders pick up the overflow and they can be stocked with treats. Cardinals, finches, jays, grosbeaks, bluebirds, blackbirds, nuthatches, chickadees, titmice, and buntings all prefer an open tray feeder. The only birds reluctant to us a tray feeder mounted on a post are ground-feeding birds. A very low tray on stumped legs will accommodate these birds, which include native sparrows, quail, towhees, and doves. You can put any kind of seed in a tray except for small Niger, lettuce, and grass seeds, which are prone to blow away or get wasted. Platform feeders are also good places to put out doughnuts, bread crumbs and fruit. Platform feeders with a roof are often called fly-through feeders. One problem with tray feeders is that plenty of seed gets kicked to the ground. Adding raised edges to a platform feeder transforms it into tray feeder. Tray feeders can be hung. A popular hanging model, the Droll Yankees X-l Seed saver is protected by a dome to keep seed dry and prevent squirrels from raiding. This feeder works especially well as a mealworm feeder. Hopper Feeders Hopper-style bird feeders with plastic or glass enclosures that dole out seed as they're needed are an efficient choice because the seed is used as needed and large amounts aren't exposed to wet or snowy weather or kicked out by scratching birds. Many birds, including chickadees, nuthatches, titmice, cardinals, jays, and woodpeckers, eat eagerly at a hopper feeder. Make sure the tray of a hopper-style bird feeder has enough room for more than two or three birds to gather and eat and check to see if the feeder will be easy to clean if seed spoils in bad weather. Be especially careful if you mount your hopper feeder permanently in the garden. If the hopper or frame blocks the tray, the feeder may be very hard to clean. Hopper feeders are not always rectangular. They can be many-sided or tubular, resembling a gazebo, lantern, or silo, and may be called by those names. A popular round hopper design is the Sky Cafe by Arundale, a hanging feeder made entirely of clear polycarbonate. The hopper and feeding platform are protected by a large, steeply sloped hood designed to detour squirrels. The idea of a large dome above a feeder to protect it from squirrels is incorporated in a number of feeder designs, including Droll Yankees' Big Top. One of the most significant innovations in hopper feeders has been the "squirrel-proof" models created by Heritage Farms, such as The Absolute II. Birds must sit on a rail to reach the seed tray. The rail has a counterweight that can be adjusted so that a squirrel's weight or that of a jay or blackbird will cause the shield to lower in front of the tray. Wire-Mesh Feeders Perfect for holding shelled peanuts wire-mesh feeders are fun to watch. Blue jays, woodpeckers, and chickadees can cling to the mesh and pick seeds out one at a time. Squirrels can pick seeds too, but one seed at a time can be painfully slow. Wire-mesh feeders work equally well dispensing black oil sunflower seeds and most other larger seeds. Small, round millet grains pour through the openings and are not a good choice for these feeders. Most commercial wire-mesh feeders are tubular, but some are shaped like hoppers and may be attached to a platform where birds can perch to feed, rather than having to cling to the mesh. Mesh bags, often called thistle socks, are also available for dispensing Niger seed. Refillable socks made of fabric and disposable ones made of plastic are available. Squirrels or rain can quickly ruin thistle socks, so hang them in a protected place. Window Feeders Years ago, before the fancy screens and storm windows, many people simply scattered a handful of crumbs or seeds for the birds on their windowsills. You can mount a simple shallow tray feeder on the outside of a window, mounting it like a window box (but higher and closer to the pane). You can use wooden or metal brackets that attach below the sill or on the sill. Perfect for kids and indoor cats - many window feeders attach with suction cups. Typically made of clear plastic, models by Aspects, Duncraft and K-Feeders are among those available. The most popular window feeders are made by Coveside and the Birding Company. A one-way mirror allows the feeding activity to be observed while keeping the birds from being disturbed. The feeders need to be placed in a sunny spot for the one-way mirror to work. The feeder can be cleaned and food replaced from inside the house. Tube Feeders Simple tube feeders are a perfect example of form matching function. They're self-contained, so seed stays dry; they hold a good quantity of seed, so they don't need refilling too often, and they can accommodate several birds at one time. Not all tube feeders are created equal though. You should invest a few extra dollars in the more expensive feeders such as Duncraft or Droll Yankees. The tube itself is sturdier, the feeding holes are designed better so there's less spillage or feeds as birds eat, and the heavier metal used on top and bottom makes the feeder much more stable. Being heavier they don't swing as easily in the wind scattering seed on the ground. Tube feeders are welcomed by goldfinches, purple finches, pine siskins, chickadees, and house finches, who seem to know they can eat in peace there without being disturbed by the bigger birds. The size of the hole (port) determines whether you have a feeder that should be filled with Niger, birdseed mix or sunflower seeds. There are two styles of tube feeders. One is designed with small feeding ports for the tiny Niger seeds; the other has larger ports for such seeds as black oil sunflower, safflower, or mixed seed. Not all tube feeders are cylinders. There are tube feeders with three, four, or more sides. It is the idea of feeding ports built into the elongated seed container that makes a feeder a tube feeder. The Droll Yankees A6 Tube Feeder is still a top seller. Droll Yankee feeders have a lifetime guarantee. Other variations include Perky Pet's Upside-Down Thistle Feeder. Perches are placed above the feeding ports so that seed can be accessed only by finches that can feed upside down, a design that excludes house finches. Two or three tubes are sometimes ganged together, as the Opus TopFlight Triple Tube Feeder. With a total of 12 ports, it can feed more birds than a single tube, and it also has the option of being filled with a different seed type in each tube. Most tube feeders are made of transparent plastic, but Vari-Craft makes particularly attractive tube feeders of white PVC. Ports are made of a hard plastic. A squirrel-proof model is available with stainless steel ports. Most tube feeders can be fitted with round trays underneath that catch spillage from birds like finches, which are notoriously messy eaters. The tray serves double duty as a small platform feeder for such birds like cardinals and doves, which benefit from the slung seed. Tube feeders are sometimes placed inside a wire-mesh cage for protection from squirrels. Cages also keep large birds like grackles from perching on a tray and reaching up to the feeder ports. Nectar Feeders Sweet sugar water, or nectar, is a huge draw for hummingbirds. Put up a nectar feeder and you're practically guaranteed to get hummers. The bird's search for red and deep orange-red flowers, and anything that color will bring them in for a closer look. Your nectar feeder may also attract other birds with a sweet tooth, including orioles, house finches, and woodpeckers. In the wild, these birds would satisfy that craving with real nectar from flowers, or a sip of sugary tree sap or fruit juice. The sugar boost gives them quick calories and the energy needed to live. As with other bird feeders, look for a nectar feeder that's easy to fill and easy to clean. Make sure you can remove the base to clean out the feeding holes. Bee guards of gridded plastic over the feeder openings are a necessity unless you like to watch constant battles between wasps and hummingbirds. Suet Feeders Suet feeders are not nearly as complex as some seed feeders. They can be as simple as a mesh sack - the kind often used for onions and potatoes. Toss a chunk of raw suet in an empty mesh sack and hang it on a tree trunk or from a branch or pole. A popular way of presenting suet is in homemade suet logs. Perches are not necessary and if used will attract grackles and starlings. Woodpeckers and small clinging birds can get a grip on the rough wood. Stuffed with suet, these logs have woodpeckers as regular visitors. Standing dead trees can be drilled and filled like giant suet logs. If meant to attract woodpeckers, a suet feeder is likely to be found most quickly if it is attached initially to a tree trunk. Once the woodpeckers have found it, the feeder can be moved to other spots and the birds will follow. Suet cages are sometimes combined with bird feeders. Health Manufacturing makes a beautiful redwood hopper feeder with suet cages at either end, the Classic Suet and Seed Feeder. Woodlink makes a similar model with a copper roof. Pet birds and parrots are very social beings that need a lot of love and attention. They like to be included at mealtime, and we can have allotted of fun sharing food with our feathered friends. But we need to beware of some very poisonous foods and toxic fumes that can be deadly to our precious bird friends. One fruit that you would not suspect of being harmful is the avocado. But it can be deadly to pet parrots and other birds. The skin and pit of the popular fruit is known to cause cardiac distress and heart failure in pet birds. There is some debate about the degree of toxicity of avocados, but it is much better to be safe than sorry. I would definitely keep avocados, guacamole and anything else made with this fruit away from my pet birds. I read about someone's pet cockatiel that died the next day after eating guacamole with their family. The next poison food on the list is chocolate which is deadly. Chocolate poisoning affects your pet parrots digestive system causing vomiting and diarrhea. As the poison moves its way through the birds' system it attacks the central nervous system causing seizures and eventually death. Apple seeds along with other members of the rose family including cherries, peaches apricots, and pears have trace amounts of cyanide (a deadly poison) within their seeds. The fruit of the apple is fine to share with your bird, but make sure to core and wash the apple skin thoroughly because it may contain toxic pesticides. Onions is another poison food for our parrot friends. A limited amount of onions and garlic as flavorings are acceptable. But in large amounts onions cause vomiting, diarrhea, and other digestive issues. Prolonged exposure to onions can lead to a blood condition called hemolytic anemia which is followed by respiratory failure and eventually death. Alcohol is a very bad poison and nothing to mess around with concerning your pet parrot. Most pet bird owners are responsible and would never offer their parrot any alcoholic drinks. But there have been some instances where wild birds have gotten into unattended cocktails. Alcohol depresses the organ system of birds and can be fatal. Make sure to secure your pet bird into his cage and preferably away from the party in another room to keep him safe from toxic brews. Mushrooms are a type of fungus and have been known to cause digestive upset in our precious companion birds. Some varieties of mushroom caps and mushroom stems cause liver failure. Tomato leaves are another poison food to keep away from our pet parrots. Tomatoes are of the nightshade family like potatoes. They have a tasty fruit which is fine for your bird, but the stems, vines, and leaves are highly toxic to your precious friends. Make sure that the tomato is cleaned properly, sliced with all of the green parts removed to keep your pet bird safe from any poison. Salt is a health risk for pet parrots as it is for people. Even though a small amount of sodium is OK for all living creatures, too much salt for birds can cause excessive thirst, dehydration, kidney dysfunction, and death. Be very careful not to give your pet parrot friend an excessive amount of foods containing salt. It is better to stay away from salt altogether. Caffeine is a toxic brew for your little-feathered friend. These would include caffeinated beverages such as soda, coffee, and tea. Allowing your bird to indulge in these types of beverages is asking for a very sick pet bird. Caffeine causes the cardiac malfunction in birds and is associated with increased heartbeat, arrhythmia, hyperactivity, and cardiac arrest... Share a drink of pure vegetable juice, fruit juice or filtered water (filtered with a simple water filter like Brita that can be bought in a store near you) with your bird. Keep caffeinated beverages away from your pet parrot. Dried Beans which are uncooked contain a poison called hemaglutin that is very toxic to birds. If you are going to share beans with your pet parrot make sure to thoroughly cook them. Cooked beans are a favorite treat for many birds. My pet cockatiels love cooked soybeans. Teflon is very deadly to your pet birds. Get rid of your Teflon and any plastic coated cookware that you have in your home. It's not worth the risk of losing your parrot friend. Overheated Teflon omits an odorless gas that you cannot see or smell. Your bird can die within minutes upon inhalation of the deadly fumes. Absolutely no Teflon should be in the home of a bird owner. Be Safe. Use cast iron cookware and glass cookware. There are many more things that can harm our pet birds who have very fragile and tiny lungs. Smoke and burnt food are other poisons to watch out for. Use common sense when thinking about what could be harmful to your precious parrot. Do some research on that questionable item. Call your avian veterinarian if you are not sure. It's better to be safe than sorry concerning your precious feathered friend. 1. Birds need to eat a nutritionally sound diet in order to live a long life. Improper feeding can lead to malnutrition and disease resulting in a shorter lifespan. Start off by feeding your bird right from the beginning. 2. Parrots and birds of the parrot family can eat a variety of different kinds of foods. Seeds should not be a parrot’s only food. This is a mistake many new bird owners make. 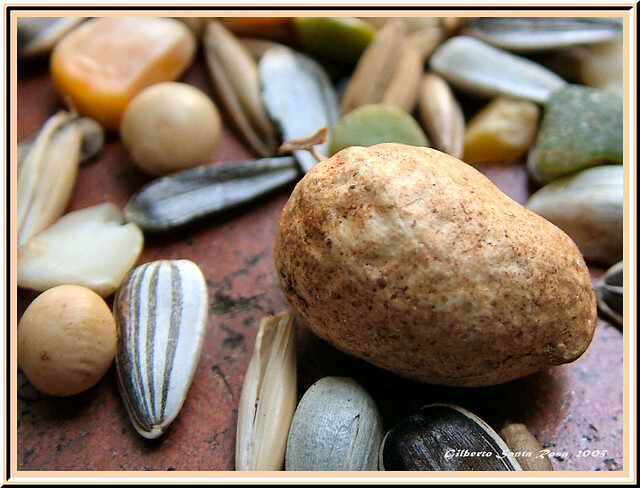 Seeds contain mostly fat and not enough protein and very few vitamins. 3. Birds can eat most table foods but it is best to stick to healthy items including items containing whole grains, pretzels, and whole wheat pasta and bread. Foods high in fat should be avoided. Never feed them avocados as they are toxic to birds. 4. Good sources of nutrition for your bird include beans and legumes as well as various vegetables and fruits. Some birds resist new foods at first while others are open to trying many new things. Although it may take some time keep trying to introduce your bird to a variety of healthy foods. 5. Changes to a bird’s diet should be done slowly and progressively over time. Provide fresh foods twice per day for approximately an hour each time. Be careful not to leave fresh food in the bird’s cage too long as it will develop bacteria which can make your bird sick. 6. Your bird should be fed two times per day. This will result in your bird getting hungry which will make it more active. Also, a good appetite can make it more likely that your bird will try new foods. Feeding at set times twice per day will also allow you to be able to monitor how much your bird is eating. If your bird is not eating well this can tell you that it is not feeling well or has a health problem. 7. If your bird is a picky eater and you cannot get it to eat a varied diet you can try warming or be cooking the vegetables. Take away seeds except at meal time until your bird starts eating healthy foods on a regular basis. 8. Just as water is necessary for people it is also necessary for healthy birds. Keep your bird’s water dish filled with fresh, clean water at all times. Bird bowls can become very dirty and should, therefore, be cleaned each day with hot soapy water. Once every other week you should clean your bird’s water dish with a solution containing bleach. Also, make it a point to pick up some water-soluble bird vitamins at the local pet store and add vitamins to your birds' water daily. Birds make wonderful pets for the whole family and they can live a long time if taken care of properly. Proper care of birds includes maintaining a healthy diet of seeds, vegetables, and fruit. What do BIRDS like eating? What do birds like eating? Here we came to my favorite topic: I am a great glutton that is why I try to please my birds. The main parrot food is millet. It is sold in every ”bird” shop. There should always be enough millet into the birdcage, birds know themselves how much to eat . They also enjoy oats very much but only oats (unpeeled, absolutely natural ) which I haven't seen anywhere in shops : – ((. It is found only as an addition to combined foods. As a compromise variant oat kernels can be given. They also enjoy sunflower seeds, but not baked of course Give sunflower seeds to your bird only several times per month because it contains lots of fats and the bird gets stout. Before giving it to the bird it is good to crash it slightly (thus they will consume it easily). They absolutely adore fresh vegetables! They die for cucumbers, lettuce, carrots, peppers and pepper seeds ( they should not be hot !). They also eat cabbage. Be careful with nitrates! They are particularly harmful to birds as they can even kill them If it is possible to prevent buying foods cultivated in greenhouses. Other " green food ” that they like very much is ordinary fresh and tender grass. I mean ryegrass, clover especially couch – grass or something likes, but not that grass! Something that you should never give them is parsley! I don ' t know why, but it is written so in the books and I have ' n ' t made experiments what will happen to them if I feed birds with parsley. Give them fresh fruit at any possibility apples (They like cores because of the seeds ), pears, plums and also pumpkin. I haven't noticed them to like citrus fruit. All fruit and vegetables should be well washed. Give them hard – boiled egg ( a quarter of egg per two birds ) at least once a month. From it, they supply themselves with proteins and vitamin D.
Don't throw the shell away! Give it to them finely crushed. It provides them with calcium. Another resource of calcium is chalk. Birds gnaw it with an appetite so be sure always to provide chalk in the cage. Birds like eating bread. It doesn't matter what kind it is. Put a piece of slightly damped bread between the bars and they will tackle it so that your appetite will come back to you. There should always be sand in the birdcage ( that is why I told you in the beginning that you should buy two vessels for food ). They need the sand in order to assimilate food easier. Food does not go to the bird's stomach directly. Before that, it stays for some time into its throat. There due to enzymes and the sand all grain foods taken get broken to pieces, get soft and get digested preliminary. The sand should be fine, that is why you must sift it well and to remove the coarse fractions because they can block the bird ' s throat. It is compulsory to wash the sand, to boil it for a short time in hot water, to dry it and only then to give it to the birds. Sea – sand is very appropriate, but it must be well – washed from the salt !!! Salt is not very useful for birds. By following these simple tips, the person can find other things, which are also essential to the parrot’s diet. 1. Parrots should have also had some vegetables, cooked meats and grains just like humans. This is because these creatures need the same nutrients that people get from eating such produce. 2. A healthy diet also means giving the parrot the right portions of each meal. If the owner gives too much, this should be reduced. This will take some time to get it right so the individual should just monitor the volume each time this is given to the animal. 3. Parrots get sick very easily. If there is excess food on the plate, this should be removed because this becomes the breeding ground for bacteria and molds. 5. Many people see pet owners giving seeds and nuts frequently to the parrot. Studies have shown this should be done sparingly because it does not provide that many nutrients, which are needed for the bird’s diet. 7. Parrots should be fed twice daily and enjoy it if the food is mixed with water in the bowl. It is advisable for the pet owner to wash the dish first before and after each meal to make sure it is free from bacteria and other germs that could endanger the life of the bird. These are just a few tips for feeding the parrot. The owner can read up more by buying a book or doing some research on the Internet.